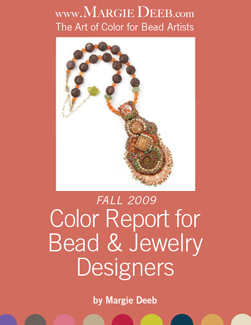 Fall Color Report is Here! There’s no substitute for great color. You can be a brilliant designer, but if your color is weak, so is your jewelry. And the colors are sumptuous! Pantone chooses gorgeous classic colors, and then the most unusual accent colors you’d never expect to find in a seasonal palette.